I provide various production services, offering tracking of expert cello parts for any kind of song or instrumental, creating parts for you or playing parts you create. I'm a Juilliard graduate now working in all kinds of music and production, from Classical to Rock and Pop. I create arrangements for strings and orchestral instruments ranging from a small duo, trio or quartet all the way up to full orchestra. Then I contract outstanding players to bring the charts to life. I can help you develop a musical vision for your album or track, acting as composer/songwriter, producer/co-producer, and mix tracks for sterling results. Endorsed by Moog. A Ricci Carbon Instruments Artist. Extremely professional top notch player. Delivers quality tracks that always match the heart and soul of the song. Noah never fails me! Once again delivered just what I wanted and with a fast turnaround like always. Once again Noah delivered spot on cello tracks. Not only is his playing fantastic, but his recordings are pristine quality! Fantastic cellist and very easy to work with. Highly recommended. Noah has been churning out more gold for me than Rumpelstiltskin! Fantastic tone and recording quality! Plays with precision and is apparently an excellent sight reader because he was able to render me faithful performances of my written work way ahead of schedule. Noah is an incredible musician, he brought my tracks to life with his beautiful playing. Total gent too. Looking forward to working with him again. Highly recommended. Noah recorded two cello tracks for me and the result was amazing: vivid, emotional and precise. I absolutely love to work with him, especially because of his unique ability to deeply sense musical ideas. He listens carefully, understands the images I use to describe the vision for my song with only few words and delivers a perfect result! I had Noah record some cello parts for me, he was prompt and professional, also addressing any notes I had immediately. Beautiful tone and well engineered. Will definitely be calling him again for future productions. Noah mixed a track that I had recorded using GarageBand and did a fantastic job. I am really happy with the result and found Noah both professional and easy to work with. I highly recommend his work and look forward to working with him again the future. I have worked with Noah on a couple different projects. He's a total professional, and it's been a pleasure to work with him. When I needed strings on some recordings recently, he contracted the players and put together a top flight quartet. The results were stunning. I highly recommend working with Noah. He's a great guy & an excellent musician. Noah Hoffeld has arranged and recorded strings and Upright Bass for my song. Thanks to its exceptional contacts I was able to benefit from the expertise of world-class musicians. The result was brilliant. Moreover Noah helped me with great accuracy and intuition to complete and polish my lyrics. Thank you sir Hoffeld ! I've worked with Noah for many years, across many projects and in many capacities. There is no other musician that has his tone and sensitivity to melody and feel. He's professional, creative, and a joy to collaborate with. His palate is wide, from classical to world, rock, folk, singer-songwriter, pop, electronica. He's a treasure! Noah wrote and recorded the string arrangement for my title track "Right where I need to Be" produced by Russ Titelman and Clarence Penn. His arrangement is haunting and timeless! Noah produced my vocals and by far it was the best experience I have ever had! He creates an environment where you feel supported and inspired! Plus he's fun! I've been working with Noah for the last six years and he is absolutely indispensable. Every time we've worked together, he has always been 100% prepared and I know he will give it his all wether it be in the studio, on stage or in the rehearsals. Can't recommend Noah enough. 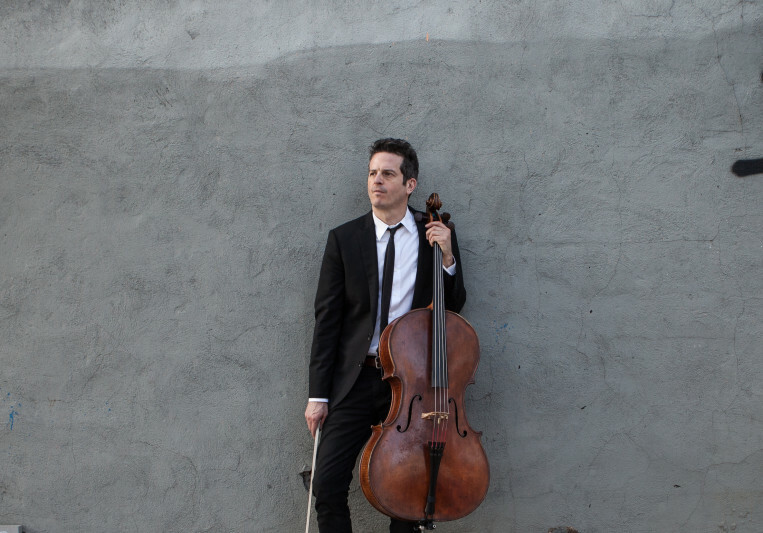 Noah is one of the most talented and versatile cellists I know of. It just so happens that he's also great to work with, can record remotely like a champ, and is a truly wonderful person. I've worked with many cellists as a film composer and as a owner of a music house, and Noah is my go-to! I've only had the best experiences working with Noah! He is an expert who can truly transform any song with his playing. If you need strings, he's your man. Highly recommended. A: Aside from Ludvig van Beethoven (and I kinda think I missed the boat on that one :)) I'd love to work with Stevie Wonder. He's one of my all time heroes and I think he is like a reincarnation of one of history's greatest composers. When I've heard Stevie live, I always have the impression that he's from another planet! He just doesn't come off as an ordinary human being- he's on another level completely. His composing, producing and performing skills are off the chart. Period. A: I play all kinds of music, whatever the stork delivers that day. That's life in the Big Apple! That being said, I usually find myself with singer-songwriters, film composers and modern jazzers. A: My tone is probably the strongest skill I have, and using its different colors to create passion and expression in the music. I like to vary the intensity of tone in order to bring out the various qualities in a singer's voice for example, underscoring his or her delivery with choices that hopefully accentuate and optimize the musical impact. A: I bring a lot of heart to all the music I play. I don't know why, but people have always said that's what they feel. I trained at Juilliard and have always been around a lot of talent, so I have a lot of know-how as well. I try my best to bring those two things together in everything I do in music. A: For cello-tracking, I like to work with notation of one sort or another- a score or a chord chart. This helps me to really nail down the desired effect. I generally do a bunch of passes till I'm happy with the feel and accuracy of what we've got, sometimes comping to attain the best overall results. A: I have a great setup built on the principles of simplicity and quality. Recording acoustic instruments, I run a Neumann U87 microphone through a Pendulum preamp which has built in options of compression and EQ. The Pendulum is the sort of boutique pre that offers an amazingly clear and warm sound on the cello and other instruments. That chain runs through my apogee quartet into a Mac. A: I'm deeply inspired by anyone with a deep commitment to mastery on their instrument, whether that be a cello or an electric guitar with pedals. Seeing others dive into the ocean of discovery makes me attempt it every day. A: Most often I'm recording cello for my clients. They may send me written parts they want to hear, or they'd like me to come up with parts for their songs. I've also written a lot of arrangements for songs (from string quartet to full orchestral) and helped artists to produce their material, bringing to life what they imagine. Please feel free to contact me and I will be happy to discuss what you need to get the best result for your recordings, scores and arrangements. $75 off when you book 3 cello tracks. $25 off each additional song. It's been a great week recording cello for the new Natalie Merchant album. The new record will be released in June as a standalone digital release and as a disc in the new Natalie Box Set being put out by Nonesuch in July. Beautiful music with one of the great voices of our time- deeply satisfying on so many levels. I'm super stoked to be the cellist on the London Town soundtrack, the new film starring Jonathan Rhys Meyers about The Clash. The Clash was always one of my favorite bands growing up and made a huge impression on me, so its pretty special to be included in this beautiful tribute to the Only Band That Matters. Bryan Senti, LA composer, wrote the amazing score. Out Oct 7! I had a great time last month playing cello for Natalie Merchant, a genius in the studio with a clear vision. We worked on a recording for Carnegie Hall called the Lullaby Project, which helps mothers in jails and shelters express themselves through songwriting. It was a rich and rewarding experience to team up with a musical giant and help the world. That's my kind of gig! Excited to announce that the Akademia Award for Best New Jazz has been awarded to 'Right Where I Need to Be' by Monica Behan. I wrote the string arrangement. The track was produced by multi-Grammy winner Russ Titelman. I did additional work on Monica's album, producing many of her vocals, contracting the strings, connecting her with a great local studio, and more.